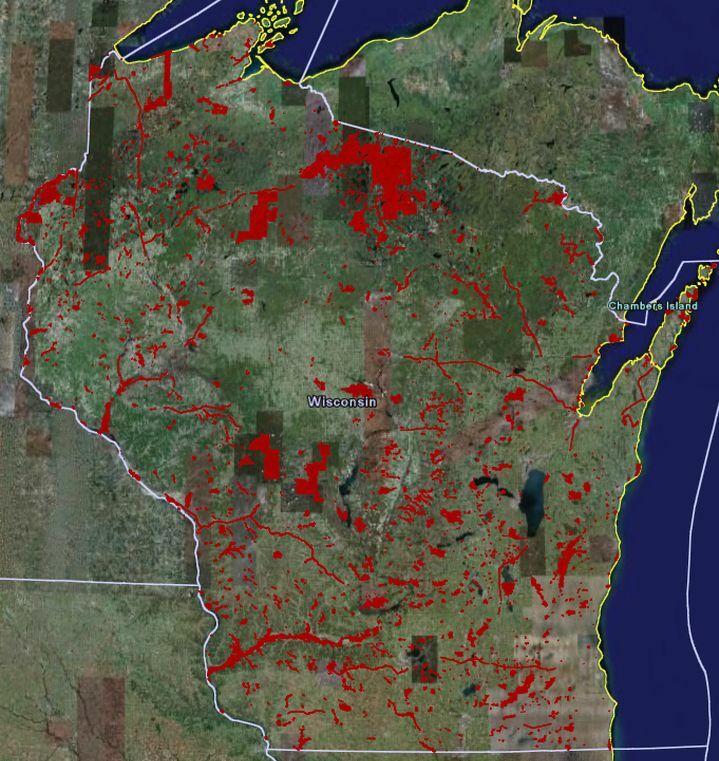 Get instant access to our digital maps of 1.2 million acres of DNR managed hunting lands and 5 million other acres of Wisconsin hunting land open to the public. 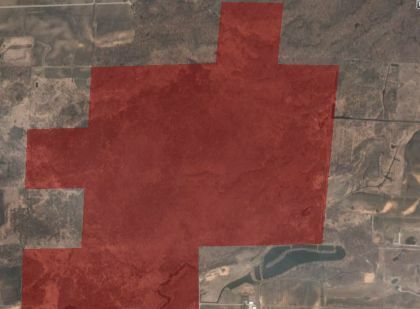 FreeHuntingLand.com is the only place you can see all of Wisconsin hunting land open to the public, overlayed on satellite imagery with GPS location. Get the DNR Managed lands, National Forest, County Forests, Managed Forest Law, and Forest Crop Law land too! Get Instant Access Now! 2. All Wildlife Areas allow hunting, fishing, trapping, hiking, nature study and berry picking. 3. Some wildlife areas also allow camping, bicycling, horseback riding, dog training, field trials (dog competition), and snowmobiling. 4. Any restricted uses of wildlife areas will be designated with signs at the property. 5. Some State Parks offer hunting opportunities. 6. Read more about WI DNR Managed Hunting Land at WDNR site. 7. The picture on the right is a close up of approximately 680 acres near Shiocton in Outagamie County. Imagery Copyright 2009 Google, TerraMetrics, Europa Technologies and captured from Google Earth.